Look at this ooey, gooey cheese stretching, just trying to reach your mouth. This is a good make ahead dish that you just pop into the oven before your guest arrive. It can even be made a day or two in advance to save on time . 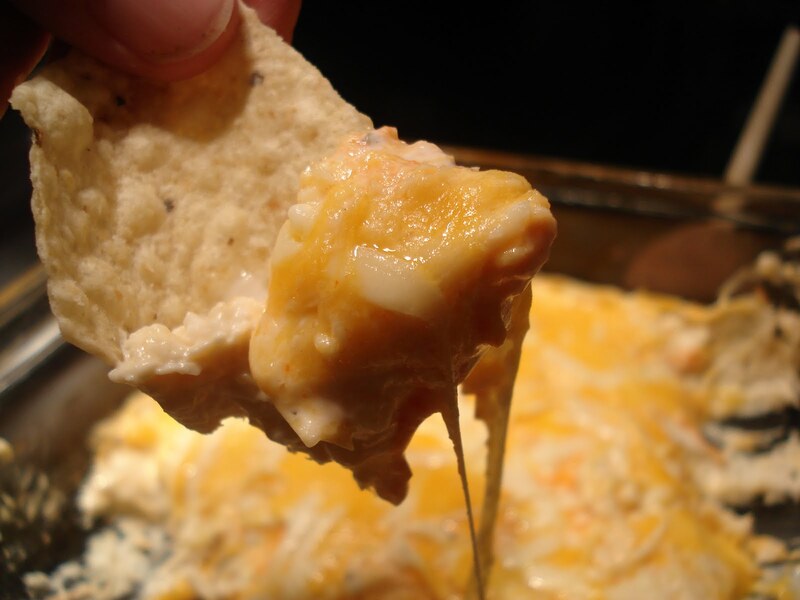 My friend Frieda makes this tasty dip, and it would be a perfect dip to serve New Year's Eve. I hope she makes it again. Oh I can just taste that cheesey goodness, irresistible. Cream the cream cheese til smooth and add chicken. Spread that into your 8x8 inch baking pan. Put a thin layer of prepared Ranch Dressing. Sprinkle Franks hot sauce over the ranch dressing according to taste, gently swirl that into the dressing. Put in a 350 oven til the cheese bubbles and dip is hot about 15 minutes. The end of 2012 is quickly approaching. We will be thinking of all the things we had hoped to accomplish this year. We may not have reached all our goals but we are ready to set new ones. This is the time I like to clean out my kitchen pantry, closets, and office space. I love the look of everything neat and tidy and in it's place, a fresh start for the new year. It got me thinking that although it is good to do that, it is not the most important, it is more important to make sure our hearts are clean and ready to face the new year. Things like letting go of past hurts, disappointments, and bitterness. And rather filling our hearts anew with love, hope, joy, and forgiveness that only God can give. A time to work through and restore relationships. What a wonderful way to start a new year. As my boys say, "Everything is better with bacon!" This cream cheese dip is no exception. 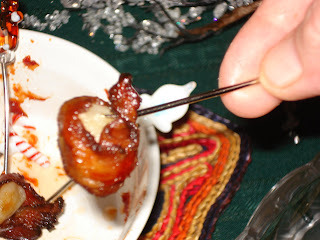 You might want to add it to your New Year's Eve appetizer table. Mix in mustard and celery salt. Using a spatula or wooden spoon, mix in bacon, tomato and green pepper. Pile into a serving dish and serve with crackers or baguette slices. Note: The mixture can also be formed into a ball or log (do not add the mayonnaise). Roll log in shredded cheddar cheese, wrap and refrigerate until firm. Unwrap and serve. In a large bowl, (or kitchen aid bowl) beat eggs, oil and salt, then slowly add very warm water, while beating. Stir in 2 cups flour, then yeast. Stir in combined craisins, cranberries, orange zest and sugar. Continue adding flour, 1/2 cup at a time, until dough hold together - is not too sticky and can be shaped into a ball with floured hands. Cover with tea towel and plastic bag. Let rise until double, about one hour. Divide in half. Roll each half out to about 8 x 14 inches, then roll up jelly roll style, starting with long side. Place on greased or parchment paper lined cookie sheet. Cover and let rise 30 - 60 minutes. Brush with beaten egg (optional) and bake at 400° F for 20 minutes. Remove to cooling rack to cool. An antipasto platter is a great dish to share at a New Year's Eve party or to have around on New Year's Day while you enjoy football or other festivities. 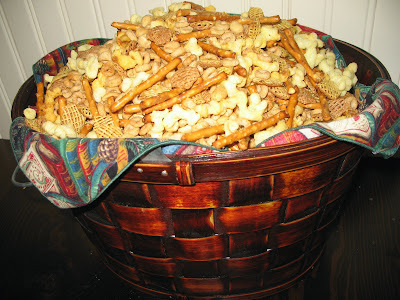 Here are some ideas for putting together a crowd pleasing platter. If available start with a colorful base like this rainbow Kale or another large leaf green. This is fresh mozzarella that I added a little olive oil, chopped parsley and red pepper flakes to. The other cheese on the platter is provolone that I bought in larger slices and cut into chunks myself. These are red pepper slices that I added chopped garlic, olive oil and salt and pepper to before I added them to the platter. I also added pepperoncini, marinated artichokes with a circle of olives in the center. Serve with breadsticks or baguette slices alongside the platter. Enjoy being creative with the ingredients you choose to build this platter for your guests and family. Here's a second platter I made for another event we attended with friends. On this platter I used a bunch of radishes for the center of the platter. I'll take this opportunity to wish you all a Happy New Year! 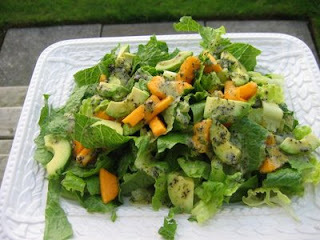 This salad is perfect anytime or to take along for pot luck meals. You can mix everything ahead of time except for the corn chips which you add just before serving. It's a great recipe to keep in mind for those summer grilling days. With our cold temperatures, nobody here is thinking of grilling anything these days. 3/4 cup mayonnaise, add another tablespoon or two if you like it more creamy. Mix all ingredients together until well combined. Serve immediately or if you want to take it to a pot luck remember to add the corn chips just before serving. -which means, God with us. The days of celebrating this event that our faith is based on are almost here. We’ve decorated our homes, made contact with relatives, sent out cards, bought gifts and stocked up our fridges. We have thought through the details of family gatherings, travel and accommodations, where necessary. In all of this, we’ve kept having to remind ourselves that Christmas will happen no matter how ready we feel. The most important gift has been sent long ago. All of the important preparations were done for us when God sent forth His Son to be born so that he could die for our sins and show His power over death. Last year I bought The Jesus Storybook Bible to read to our grandchildren. “Everything was ready. The moment God had been waiting for was here at last! Does that not make you want to read on? God was ready for Christmas.The Creator of the Universe could have chosen a much more noble way to enter our lives, but He chose a lowly manger, heralded by a lone beautiful star and visited by shepherds. God has known about us all along and made a way for us to know Him. We wish you, dear readers, a most blessed Christmas! No matter how ready you feel, know that our Heavenly Father has already prepared the most important details to celebrate this day. This cheese wheel goes well with a green salad or even as an addition to an appetizer buffet. Serve marinara or pizza sauce on the side to dip wedges into. Stir sugar into warm water and sprinkle yeast over warm water. Allow to proof 8 minutes. Stir well. Add flour, oil and salt and knead together forming a moderately stiff dough. Cover with a lint free towel and let rise 1 hour in a draft free area. 3 cups grated cheese, my suggestion is a combination of cheddar and mozzarella or muenster. Grate cheeses and combine. Add parsley and sprinkle with spices. Whisk egg and add to cheese and spices. Using a fork stir to mix. Set aside. Punch down risen dough and divide into 2 equal portions. Roll one portion into a 13" circle and place on a greased or parchment lined round pizza pan. Spread egg and cheese mixture on this shell leaving a rim of dough 1" showing. Roll out remaining dough and place over the egg and cheese mixture. Pinch together the upper and lower crusts. Flute edges for a nice finish. Bake in preheated 400º oven for 20 minutes. Whisk together egg and water while cheese wheel is baking. After the first 20 minutes of baking remove cheese wheel from oven and brush with egg mixture. 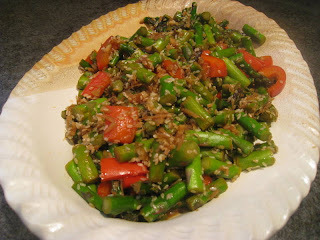 Sprinkle with sesame seeds and sugar. Bake another 12-15 minutes, until golden. 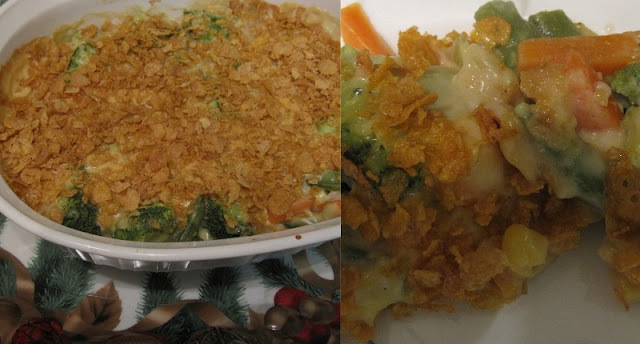 This veggie casserole is an old favorite and is always enjoyed whenever I serve it. One nephew once said as he reached for a second helping ... "Now you have me eating vegetables and I don't even like them!" Mix flour, salt, pepper and whisk into the milk in a saucepan. Add onions to milk mixture and cook until thickened, stirring continually to keep smooth. Stir in grated cheese (and meat if desired). Toss cornflakes in 1 tbsp oil and spread on top of vegetables. Bake uncovered at 350 degrees for about 20 minutes. This is nice to prepare ahead, refrigerate, and then bake just before serving. Today we want to acknowledge our blog sponsors and thank them for partnering with us. These people give faithfully and generously each month to help and bless others in their own communities and around the world. Read more about each of our sponsors by clicking on the link. Dan and Audrey Neufeld own and operate Neufeld Farms, their family business in Abbotsford BC. As a group we have had the privilege of visiting their business and meeting some of their great staff. They are making a difference through their faithful giving. Rob and Charlotte Lepp own and operate Lepp Farm Market in Abbotsford BC. 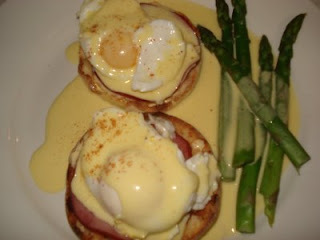 We enjoy teaching evening cooking classes at Lepp's and would invite you to join us sometime. 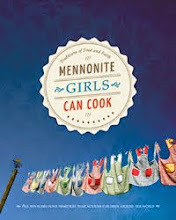 Visit their web site for details on cooking classes. We are so thankful to them for their donations to Matthew's House. 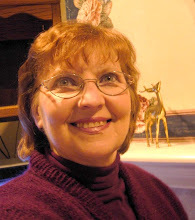 Wendy Murray is the owner of Winks Home Garden and Gifts in Chilliwack BC. Winks hosted a book signing for us in her lovely store, and has been an on going support. 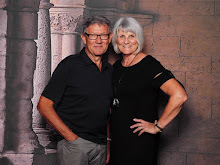 Wendy and her husband Dave give to help people in Romania and also locally. We appreciate their generosity both in their community and abroad. The Fort Langley Guesthouse located in historic Fort Langley in British Columbia is a beautiful place to stay and relax. Their support to people in need is much appreciated. 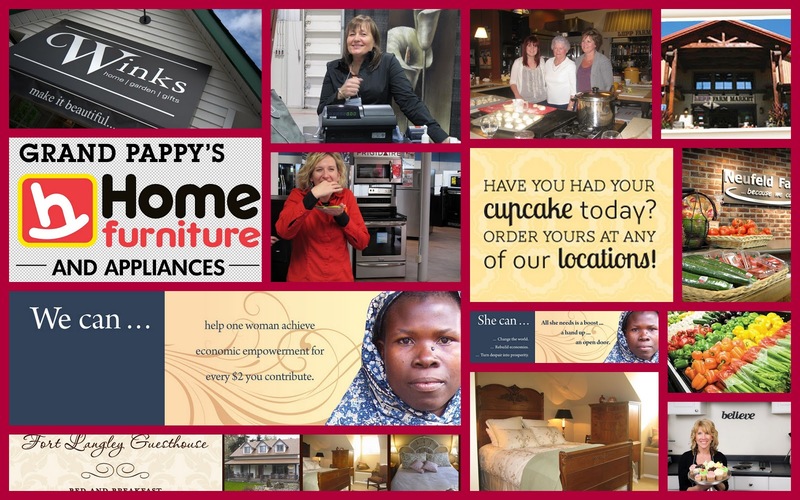 Tracey Dueck is the owner of Tracey Cakes. choose Tracey Cakes. Cupcakes are her specialty. We are grateful for their support. Meda has been able to passionately support impoverished women in underdeveloped counties. We encourage you to take some time to visit their web site. Their giving is making a difference. by the young entrepreneurial spirits of Matt and Brandi Schmidt. supporting their 'Extravaganza Show' in the fall time. 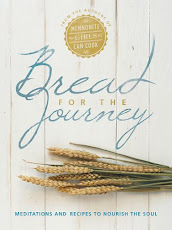 They are generously donating their book proceeds to Ruth and Naomi's Mission in Chilliwack, BC. The true heart of Christmas is in the giving. My mom used to make cold eggnog for us in summer when eggs were plenty and before smoothies had been discovered. 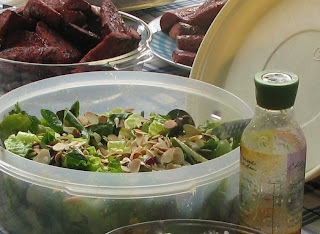 She made it nutritionally simple without spices, chilled it well and it was enjoyed by us all. Following these instructions gives you a good base for eggnog and following the link will give you suggestions on how to spice it up. Break eggs into a large saucepan. Add honey and salt and beat with a handmixer until the egg white and yolks are well blended. Add half the milk and stir constantly with a heat proof spatula over medium low heat until the mixture coats the back of a spoon or 160 F. Do not allow it to come to a boil. Place a large heat proof bowl into ice water and pour the mixture through a fine sieve into the bowl. Add remaining cold milk. Add flavouring and stir to cool. Pour into jars with lids and refrigerate for up to a couple of days. For additional flavouring tips visit Egg Farmers of Canada's website for their suggestions. There are no words that can express our heart felt sympathies to the families who have lost their loved ones in this senseless tragedy which occurred in Connecticut this past week. We too, like the rest of the world want to send our love and prayers for all of you, for the parents, the grandparents, the siblings, the teachers, the friends, and the community of Newtown. 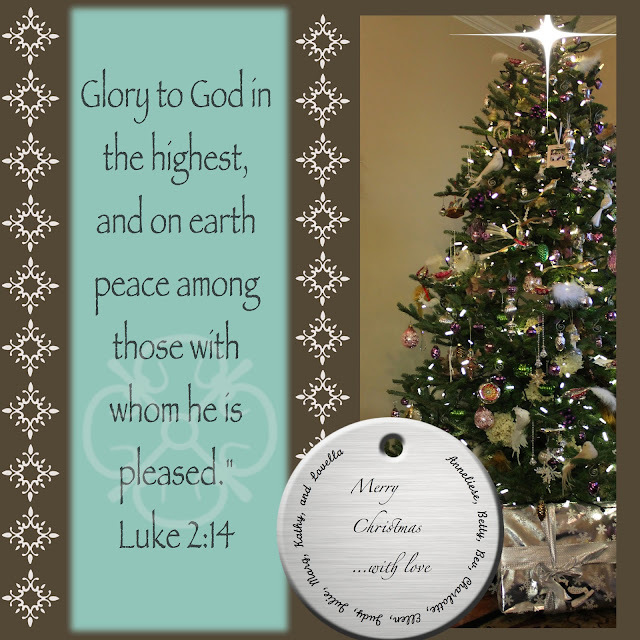 Let the words of Max Lucado's Christmas Prayer live deep in your hearts. Your world seems a bit darker this Christmas. But you were born in the dark, right? You came at night. The shepherds were night shift workers. The Wise Men followed a star. Your first cries were heard in the shadows. To see your face, Mary and Joseph needed a candle flame. It was dark. Dark with Herod’s jealousy. Dark with Roman oppression. Dark with poverty. Dark with violence. May God continue to hold you in the palm of His Hand. This cake really does taste like a cinnamon bun. Delicious served warm. I think it would be great to serve for brunch even if it is a cake. 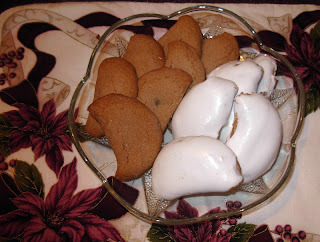 Cream butter and sugar, add eggs, vanilla, and milk. Add dry ingredients and mix until well combined. Pour into a 9" x 13" greased pan. 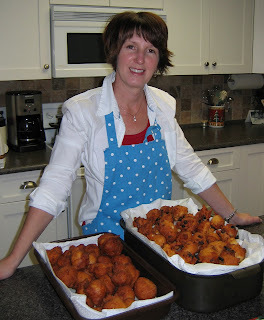 Drop evenly over batter by tablespoons and swirl through the batter with a knife. In small bowl whisk icing sugar, milk, and maple extract until smooth. Serve warm, although it tastes great even after it has cooled. Just recently I had the privilege of taking in a cooking class at The Dirty Apron culinary school in Vancouver. The chef demonstrated all of the dishes, and then we each replicated them at our own station. 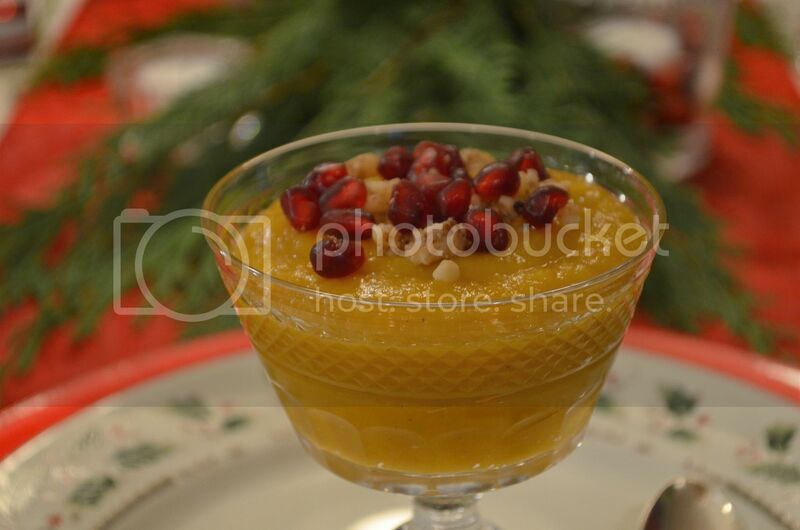 The dessert was so simple...and yet elegant...and just perfect for Christmas. I've changed it up a wee bit and will share it with you today. Once smooth, cool to room temperature. In a separate bowl, beat the heavy cream until soft peaks form. With a spatula, fold the cream into the dark chocolate. Line a loaf pan with plastic wrap, so sides and bottom are covered...or line several mini-loaf pans. Spoon the chocolate mixture into the loaf pan, smoothing the top. Cover with plastic wrap and refrigerate for several hours or overnight. Before serving, carefully remove the pate from the loaf pan and place on work surface. Then slice the pate (at least 1/2 inch pieces) with a hot thin-bladed knife and place on dessert plate. Serve with raspberry coulis, whipped cream, fresh raspberries and toasted hazelnuts Add mint leaf for a splash of color. Dust with icing (confectioner's) sugar if you wish. Cook the berries and sugar over low heat for 10-15 minutes, stirring occasionally. Strain through a fine sieve to remove seeds. Using good quality chocolate is important! 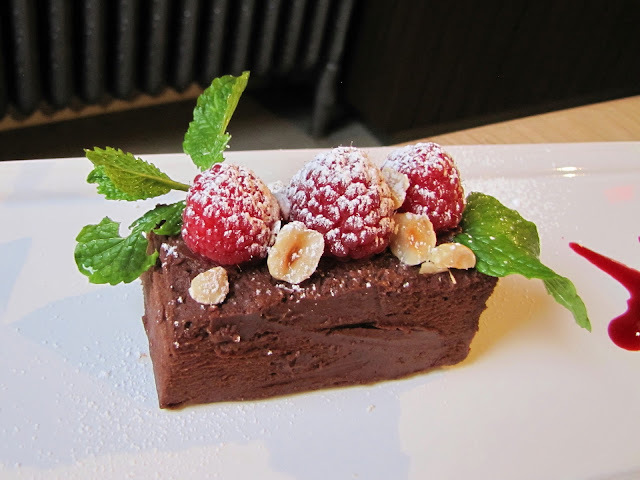 I visited our local chocolate shop, and purchased Belgian chocolate to make this dessert. It made a melt-in-your-mouth pate that even a non-lover of chocolate could appreciate. This dessert can be prepared in advance...as it keeps well for four or five days. This is a tasty soup that would work nicely as a starter to a Christmas Dinner. Heat the butter and olive oil in a large cast iron dutch oven or large stockpot over low heat. Add the onions and curry powder and cook for 15 to 20 minutes or until the onions are tender. Stir and scrape the bottom of the pot every couple minutes. Peel squash, cut in half and remove seeds. Cut the squash into chunks. Peel and core the apples and cut into chunks. Add the squash, apples, salt, pepper, and 2 cups broth to pot. Bring to boil, cover, reduce heat to low and cook until the squash and apples are soft, approx.40-50 minutes. Use a food processor or hand blender to puree the squash and apples. Return to pot if you used the food processor and taste, adding salt and pepper if needed. If the consistency is too thick add a little more broth or water and heat through. Serve with toasted walnuts and pomegranate seeds, optional. The first time I remember having poached pears was on a cruise. They were served in a fruity sauce and I always wanted to try and re-create them. When I found an old recipe in my stash of "recipes to try one day" I liked the idea of the added pastry around the pear. I used plums because it was fruit I had in my freezer. This makes a beautiful dessert after a big dinner and works well into a day of prep by being able to make it ahead and refrigerating until dinner is out of the oven. Peel and core pears, slicing just a tad off the bottom to make them stand easily. In the meantime, bring sugar, water and lemon juice to boil in a pot large enough to hold the pears standing up. Place prepared pears in syrup, bring to boiling point, then reduce and simmer until pears are tender, about 10 - 15 minutes. With slotted spoon, lift the pears out of the syrup, place on a plate and cool in refrigerator. To syrup in pot add chopped plums, bring to boil and simmer for about an hour, until thick and syrupy. 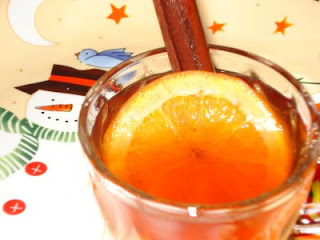 Stir in cinnamon or any flavor you prefer. Beat cream cheese and sugar until fluffy and pipe into cooled pears. Roll out each half of thawed pastry to about 12 x 12 inches. Cut square into quarters. Place a prepared pear in the center of a quartered square. Taking one corner, pull up and wrap over the top, around the stem. Brush edges with water as you repeat with the next three corners. Repeat with the rest of the pears and place on parchment lined cookie sheet. Cut leaves out of the leftover pastry and decorate as you like. Chill 20 minutes or until ready to bake. Bake at 425° F 25 - 30 minutes until golden. Serve warm with plum sauce. This is one of my families favorite soups and a quick and easy dinner solution, especially this time of year when there seems to be a lot more busyness going on with shopping, concerts, baking, wrapping, Can you relate? If we go out for dinner, we prefer going out for Greek food. Usually we order this soup as a first course. I can't recall there being carrots in the soup, but I like to sneak in veggies where ever I can. This is my version of the soup better known as Avgolemeno. 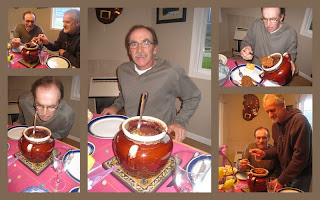 If you don't have a homemade broth ready, use a good quality low / no sodium broth, that is a good option. 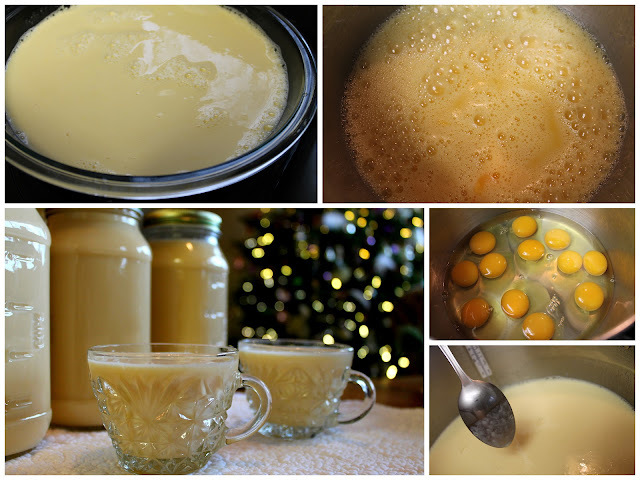 The creaminess comes from the eggs simmered in the broth, adding some protein. Bring the chicken broth to a boil, with the added vegetables. Boil for about 15 minutes until carrots and celery are tender. Add the rice cook for 15 minutes longer. Turn the soup to barely a simmer, before adding the eggs. While the soup is cooking, crack the eggs into a large bowl and add the lemon juice, beat together. Let it sit on the counter to reach room temperature. The eggs cook quickly and as soon as the soup becomes thick take it off the heat and let it rest with the lid on. Add the chopped parsley for garnish and color. *We like things lemony so try using the juice of one lemon first and adjust the seasoning after the eggs have been added and cooked through. Always use fresh lemon juice for the best lemon flavor, you just can't compare the taste to the bottled juice. I also throw in the lemon shells for the last 5 minutes of cooking time and take it out before I add the eggs for more lemon flavor. If you leave the shells in for too long the soup becomes a bit bitter. Or add a bit of the lemon zest to the broth in the end too, that is optional. Years ago I had a friend who had an only child who was born with very severe asthma. Countless nights the frantic parents rushed her to emergency to save her life. This child, when I knew her was only two years old and there was a sensitivity about her that gave you the sense she was not an ordinary child - something about her was 'other-worldly'. Her mother told me the following story. It was Lisa's (not her real name) second Christmas and in her paternal extended family there was a family tradition where the youngest child got to put the baby Jesus in the manger on Christmas Eve. That year it was Lisa's turn. She did not attend church or Sunday School (her father was not a believer) and as far as the mother knew no one had told her enough for her to understand to do what she did. 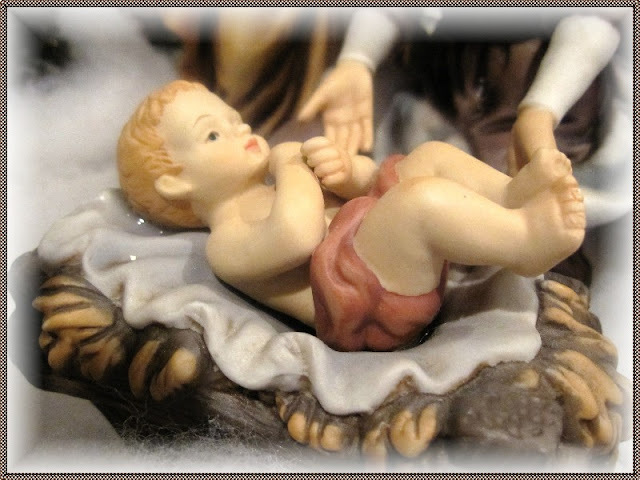 Lisa took the offered 'baby' from her grandmother and obeyed the instructions to go put it in the manger. She walked over, laid the baby in the manger and then kneeling down in front of it folded her hands and bowed her head. Her grandmother asked in surprise, "What are you doing, Lisa?" The child replied, "I'm worshipping Him." For the world the baby in the manger is quite comfortable to accept, after all every one loves a baby! But this baby came to rule as King of Kings and Lord of Lords! He came worthy of our worship. Does the babe of Christmas rule in your heart ? Is your response to Him to fall down and worship Him? The chorus of the old Christmas Carol , "O Come all ye Faithful" is an invitation. This simple Black Forest trifle in a mug is sure to go quick . 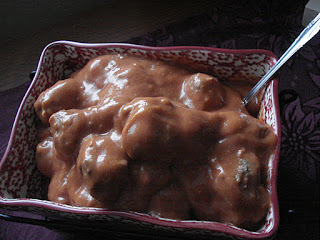 . . but if not, rather than being left with a messy bowl, you have dessert for another day. These keep well, refrigerated, for several days. Prepare a large rimmed cookie sheet (11x17) by greasing, lining with wax paper and greasing again. Bring water, butter and oil to boil. Add hot liquids to combined flour, sugar, cocoa, soda in bowl. Stir in buttermilk, eggs and vanilla. Spread into prepared pan and bake at 350° F for 20 minutes. After cooling, cut out 24 rounds with cookie cutter or glass to fit mugs or small jars. Place a round of chocolate cake in the bottom of 12 mugs. Top with two tablespoons of cherry pie filling. 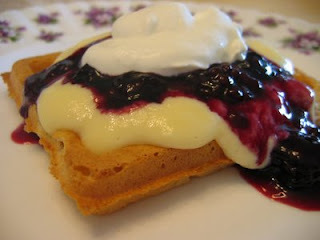 Beat whipping cream with sugar, then top cherry filling with two tablespoons of whipped cream. Add second layer of cake, then add two - three tablespoons of prepared chocolate fudge pudding. Top with whipped cream and chocolate or mint. To make chocolate shavings use a potato peeler on semi sweet dark chocolate. I've been making this cake for years. It's moist and flavourful and perfect to pack for lunch or serve with afternoon coffee. Grease the bottom of a 9 inch square pan. Cream butter and sugar until light coloured and well blended. Add eggs beating well after each one. Add vanilla, canned pears and orange rind, beating well. The beaters will chop up the pears even more and the mixture will look somewhat curdled. Add dry ingredients and pear syrup and mix at low speed just until well blended. Bake at 350 degrees ºF for 25-35 minutes. To test for doneness, insert toothpick in centre of cake. If it comes out dry, cake is done. NOTE: This frosting sets in a very short time so work quickly when making it. In a medium pot, melt butter over medium heat, watching closely. When it begins to turn a golden brown, remove from heat and add icing sugar. Working quickly, beat icing sugar with a spoon, adding vanilla and enough cream to make it of spreading consistency. Stir in and spread over cake. When the frosting has almost set but is still a bit warm I use the flat tines of a fork to press a pattern in the top of the cake. 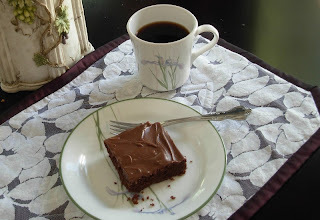 A chocolate cake mix, eggnog, a Jersey Milk chocolate bar and a splash of strong coffee. Beat together first 3 ingredients. Break chocolate bar into small pieces, place into hot coffee and stir until completely melted. Add to eggnog mixture and beat until combined. Sift powdered cake mix into eggnog mixture and beat for another 2 minutes until ingredients are well combined. Grease two 9" cake pans or one 9x13" pan and then dust lightly with cocoa powder. Pour cake batter into prepared pans. Bake in oven pre heated to 350º for 30-35 minutes. Cake is done when it springs back when lightly pressed on, or a toothpick inserted in the middle comes out clean. If using a 9x13" pan you may want to just leave the cake in the pan to cool. Once cooled frost or serve with ice cream. If baked in rounds for a layered cake allow to cool for 5 minutes in pans and then invert onto cooling racks. Cool and frost with your favourite chocolate buttercream or pudding and whipped cream frosting. These pizza rolls are great for packing in lunches and to have in the freezer for a quick supper. 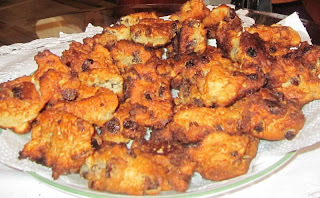 I like to have them handy around Christmas time when you want something different from the usual buffet of leftovers. You may add chopped mushrooms, green peppers, and bacon if you like. Another idea, that my daughter suggested is to use tomato, olives, mushroom, and feta. To make the dough: stir together sugar, salt, oil, and warm water. Add flour and yeast. Mix well. Start with 4 cups of flour and keep adding as needed. Cover and let rise in warm place until doubled in bulk. Divide dough into 2 pieces and roll each out into a rectangle 1/4" thick. Spoon half of the sauce on each rectangle of dough, then sprinkle pepperoni and cheese on top. Roll up as you would for cinnamon rolls and pinch edges to seal. Place rolls in a parchment lined pan sprinkled with cornmeal. 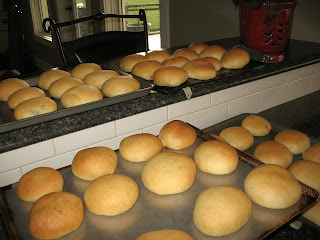 If you don't have a pan large enough you can make these rolls in smaller sizes. Brush slightly beaten egg over the rolls and sprinkle with Italian seasoning. Bake in a 400º oven for 30 minutes, until golden brown. This recipe came about as a result of an 'oops' in my kitchen. The plan was to make the hazelnut roll (also found on page 154 of the MGCC cookbook) for a holiday gathering. After removing the cake from the pan, I rolled it up to cool. I realized too late that it should have been rolled starting at the short end...and I rolled it the long way. I un-rolled...and re-rolled...and cracked the cake in the process. 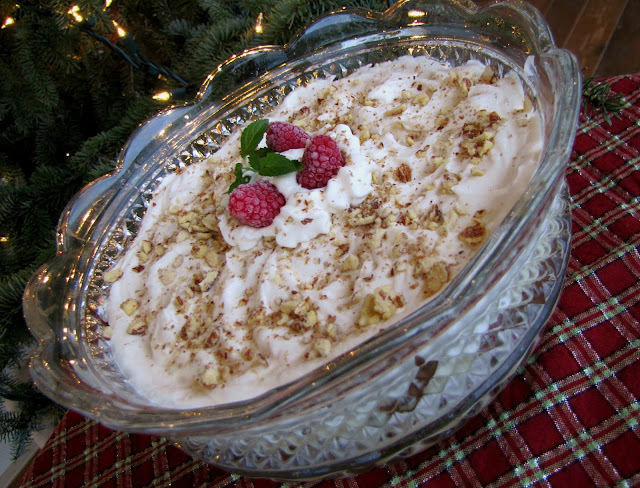 At that point I decided it would become a hazelnut trifle...and so the hazelnut holiday trifle was born! Like the log roll...it is gluten free for those who are on a GF diet. Equally good, is a trifle made up the same way but using banana cake instead of the hazelnut cake. Place 1/3 of cake cubes in the bottom of clear glass trifle bowl. Spread with a layer of Nutella, 1/3 of the pudding and 1/3 of the whipped cream. Repeat layers, spreading whipped cream over the entire top of bowl. Garnish with coarsely chopped hazelnuts and raspberries, if desired. Line 10 x 15 inch bar pan with parchment paper and spray with Pam. In mixer, combine sugar and egg yolks; beat on high speed for 5 minutes. Add extracts and beat well. 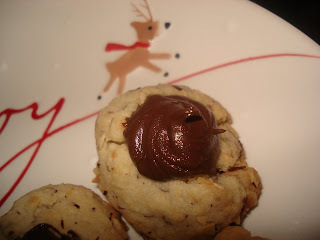 Combine ground hazelnuts, baking powder and salt. Add to sugar mixture and beat 2 minutes longer. Fold into cake batter by hand. Bake at 350°F for about 20 minutes. Run knife around outer edge once slightly cooled; flip from pan to cool completely. Cut into cubes when ready to assemble trifle. Recently I've been learning about the gift of listening. I received a call from my sister this week and she just needed to talk. Shortly into the call she said, "thanks for listening to me". How many times has she been the one on the other end of the phone listening to me. Yesterday a very dear friend called and we had a long conversation. We both talked about what was on on hearts and at the end of our conversation she said, "thank you for listening". Again I thought how many times she has been the one who gave me the gift of listening to me. This past month my husband and I have been taking a course at our church called Hearing God. As I've worked through the homework for this course I've realized how important it is for me to be still and listen to the voice of God. Advent is a time of preparation. In Psalm 46:10 God says, "Be still and know that I am God". God has a personal message for each of us. He loves each of us and I know He desires for us to take time to be still. I am so grateful for the many times I have come to Him knowing He always listens. "Thank you God, for listening to me". and I know that when I do, my life will be transformed into His likeness and His response will be, "thank you for listening for Me". We have a special post for you today. 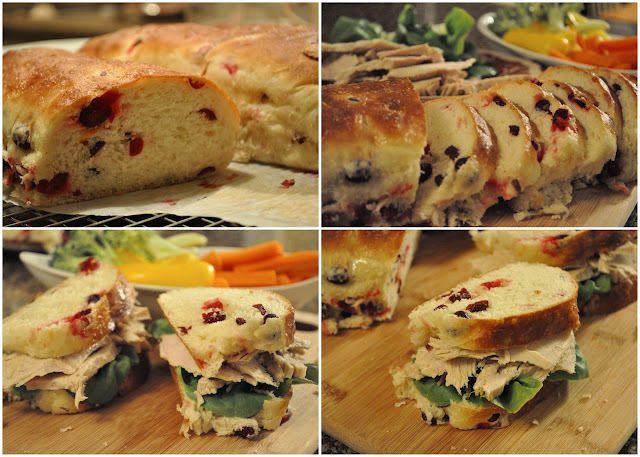 With all the Christmas gatherings, it would be a nice to offer you some menu ideas for this festive season. 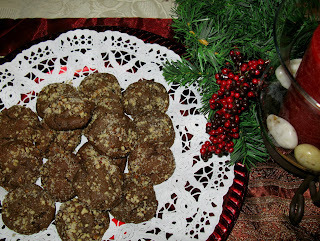 Everything from a cookie exchange with friends, fun in the snow with the kids to Christmas and New Year menu ideas. 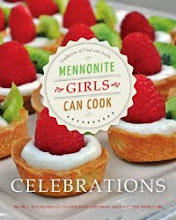 I hope you enjoy browsing through the recipes and getting some ideas to include in your own celebrations. All the best wishes for this wonderful season to all our readers. It comes lovingly from our kitchens to yours. While the kids are on Christmas vacation. Enjoy a day out playing in the snow. Come in out of the cold and enjoy some hot chocolate to warm up is a good start. Enjoy these tasty recipes with your friends and family.